Seeking 1 Caucasian actress between the ages of 18-25…5’1 to 5’6….to play the role of Jessie Pulliam. She is a college student who falls in love with her mother’s boyfriend Stephen Archer. Synopsis: Bea Pullman and her daughter Jessie have had a hard time making ends meet since Bea’s husband died. Help comes in the form of Delilah Johnson, who agrees to work as Bea’s housekeeper in exchange for a room for herself and her daughter Peola. Bea comes up with a plan to market Delilah’s pancake recipe. The two soon become wealthy and as the years go on, their friendship deepens. 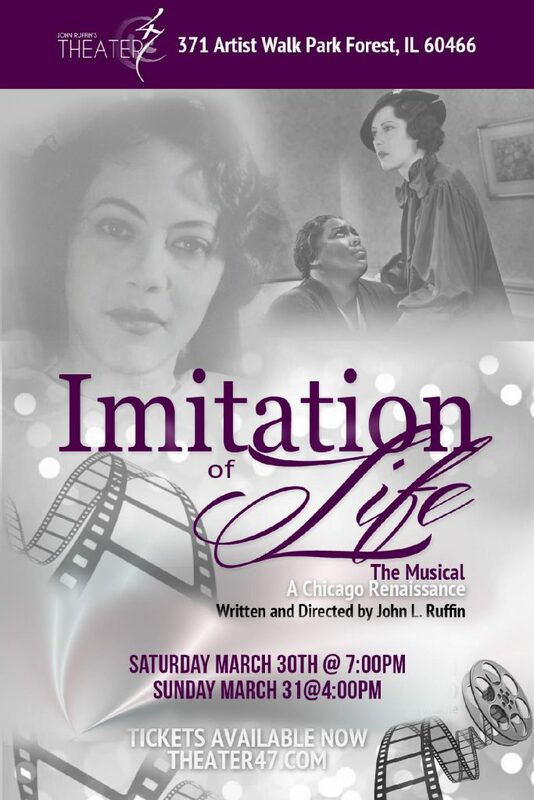 The theater is located at 371 Artists Walk in Park Forest IL. 60466. MUST have transportation. This casting notice was posted by: Theater 47.